Hanoi (VNA) - Vietnam’s proposal for commemorating the 650th anniversary of the death of renowned teacher Chu Van An in 2020 was approved at UNESCO’s Executive Board Meeting in Paris, France, on April 16 along with 48 of 71 other applications submitted by 41 countries. 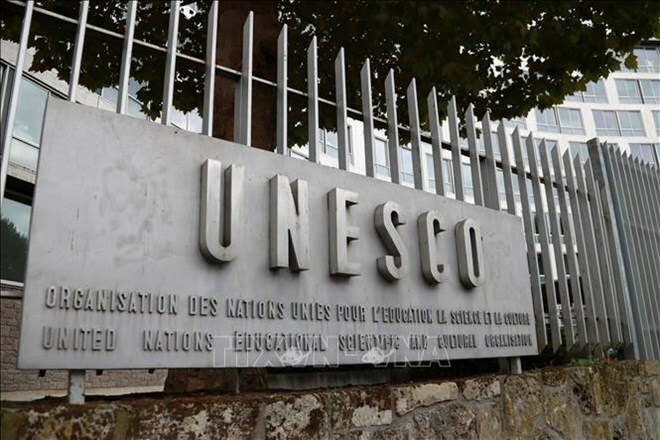 The nominations were deemed consistent with the mission of UNESCO across education, culture, science, information and communication, and contributed to promoting peace, cultural dialogue, mutual understanding among nations. Chu Van An (1292 - 1370) is considered a brilliant teacher of Vietnam, who devoted his life to the humanistic education philosophy of regardless of his students’ wealth, teaching that learning goes hand in hand with practice and lifelong learning contributes to society. His thoughts not only affected many generations of Vietnamese but also contributed to the development of humanistic values in the region. His educational perspective has progressive values, close to the modern values that UNESCO summarised as “learning to know, learning to do, learning to live together and learn to be humans”. UNESCO has previously honoured Vietnamese celebrities, including the commemoration of the 600th anniversary of Nguyen Trai's birth (1980), the 100th birthday of President Ho Chi Minh (1990) and the 250th birthday of Nguyen Du (2015). UNESCO's adoption of the 650th anniversary of the death of Chu Van An shows international appreciation for the cultural and educational values of Vietnam, while promoting the goal of education equality for all people and lifelong learning that UNESCO is promoting. Under UNESCO’s regulations, the 40th UNESCO General Assembly Meeting in November will issue a resolution on celebrating the outstanding events and characters of the world.